Two Kaplans present differing but possibly compatible innovation guidelines in recent books. Both offer vivid and familiar business examples, and argue that transformational change rather than incremental change is required to drive innovation. Saul Kaplan founded Business Innovation Factory (BIF), after serving as the Executive Counselor to the Governor of Rhode Island on Economic Growth and Community Development, Executive Director of the Rhode Island Economic Development Corporation, and Senior Partner at Accenture’s Health & Life Science practice. He advocates “optimistic persistence” in the face of repeated trials that depart from intended outcomes, and reframing these efforts as progressive learning that inspires continued forward efforts. This Kaplan acknowledges that many business executives openly state that they do not like surprises, and that they hire people to prevent surprises. 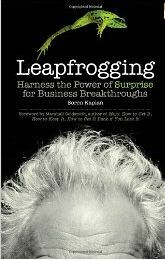 Both Kaplans recommend breaking conceptual limitations and perceptual tunnel vision, and offer compatible tips for systems thinking and courageous experimentation to drive business innovation. 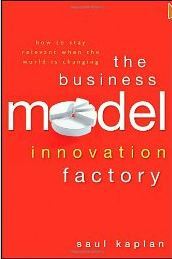 -*What models of business innovation have been most effective in igniting creative problem solving in your work environment? This entry was posted in Innovation, Leadership and tagged Business Innovation Factory, Business model, Innovation, Leadership, Saul Kaplan, Soren Kaplan on June 27, 2012 by kathrynwelds.